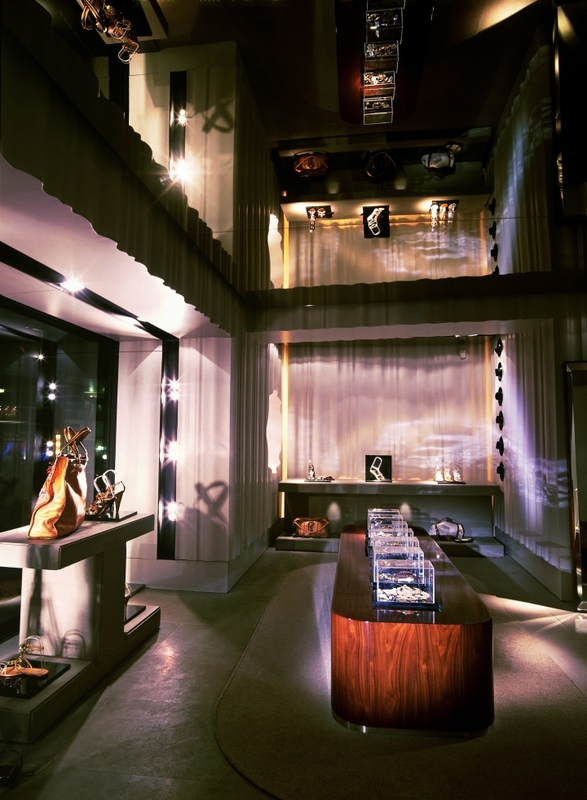 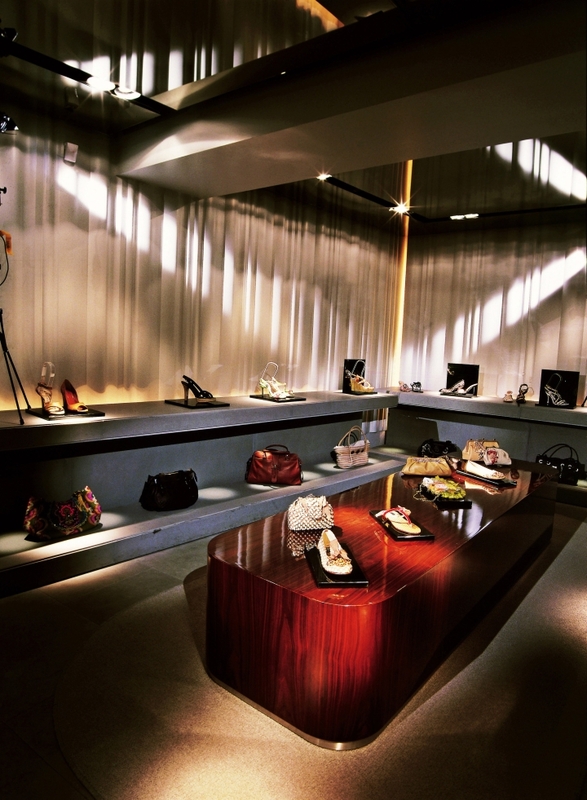 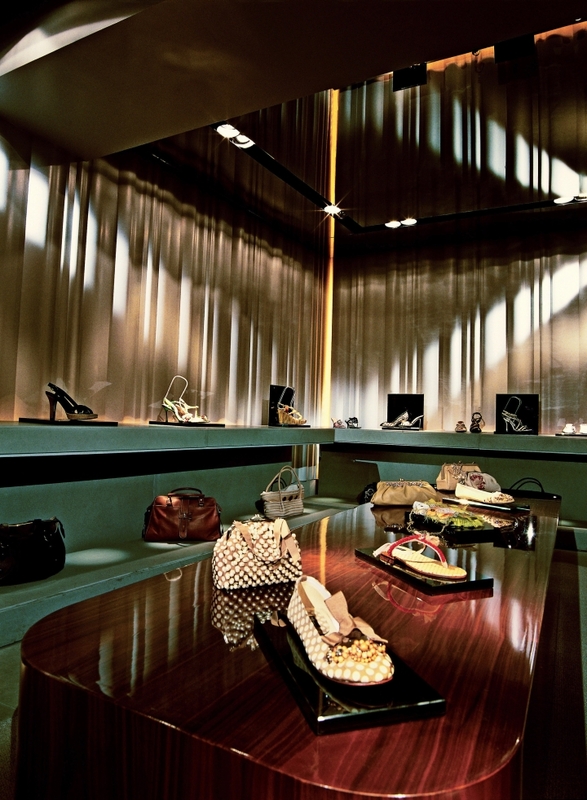 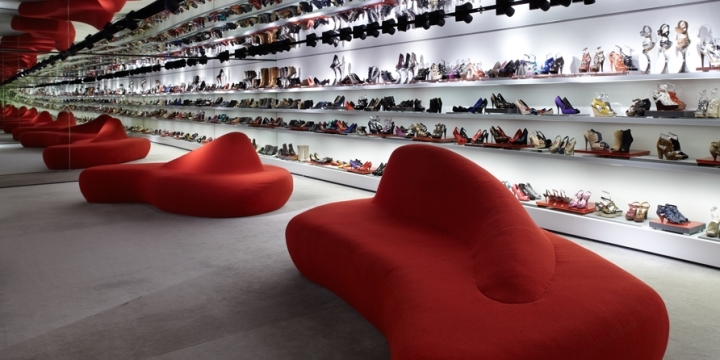 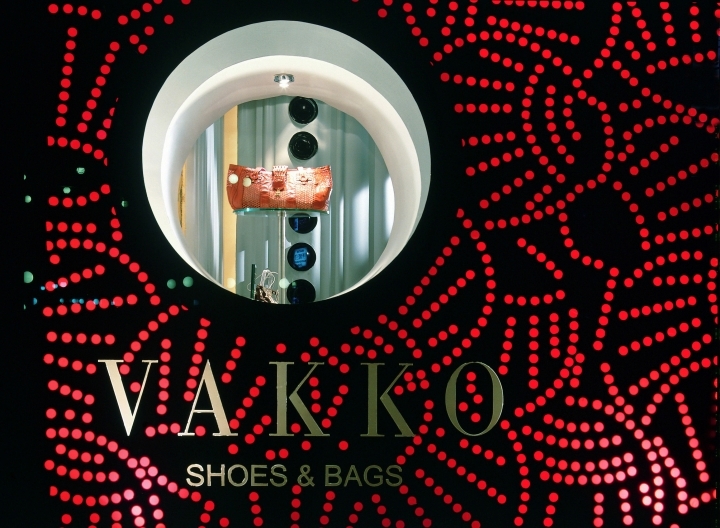 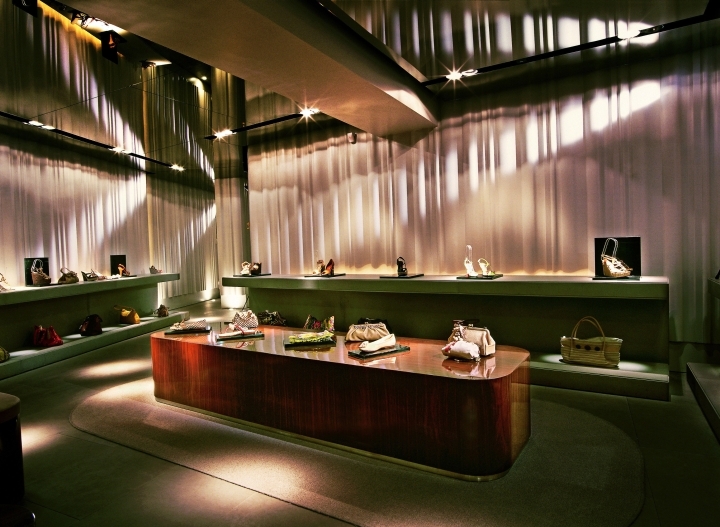 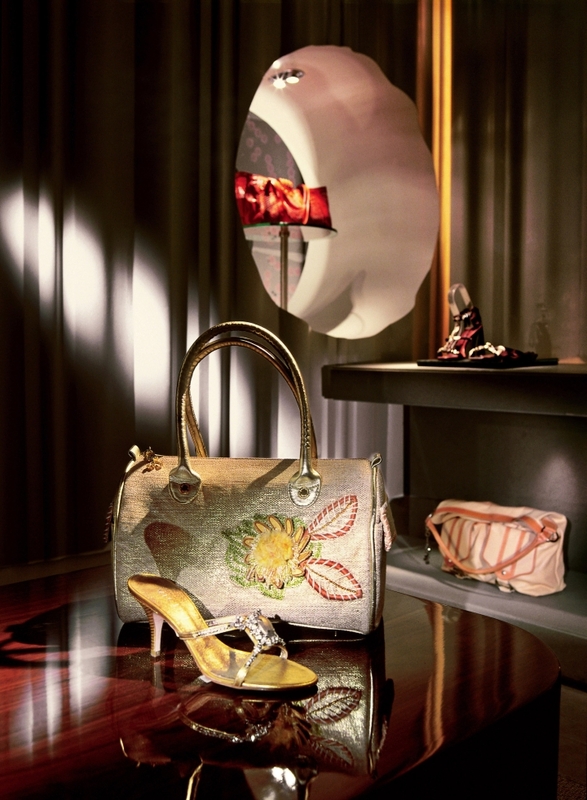 A concept store for all the “it” bags and killer heels out there... 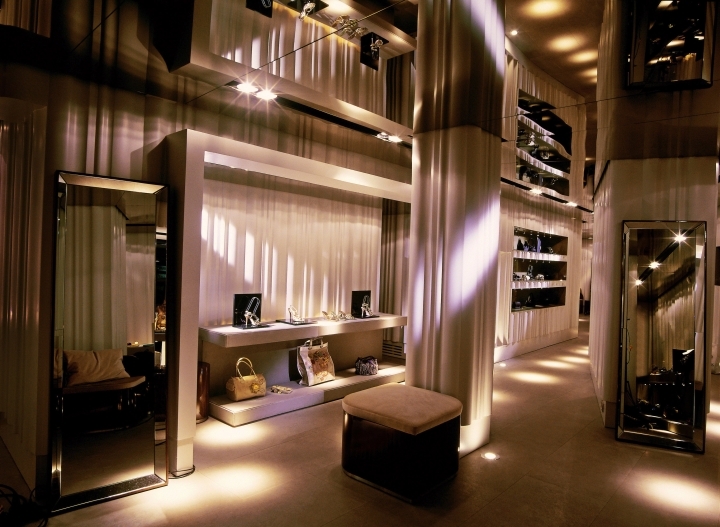 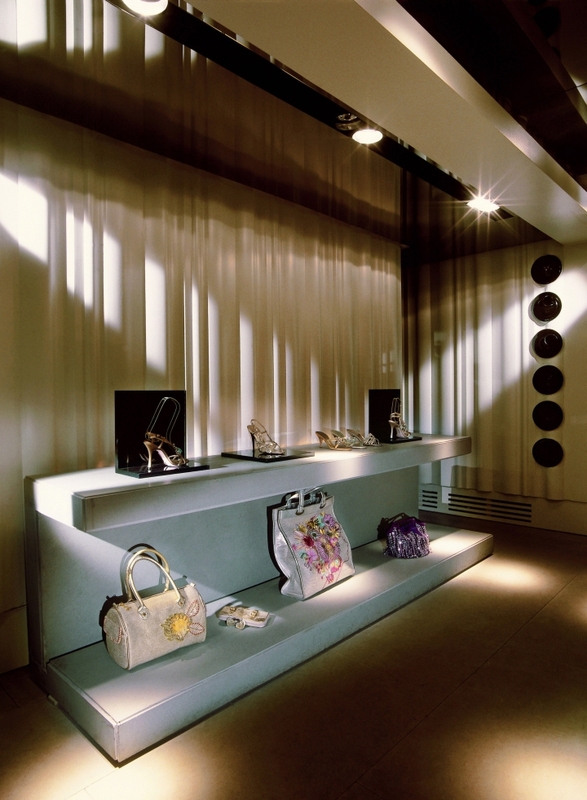 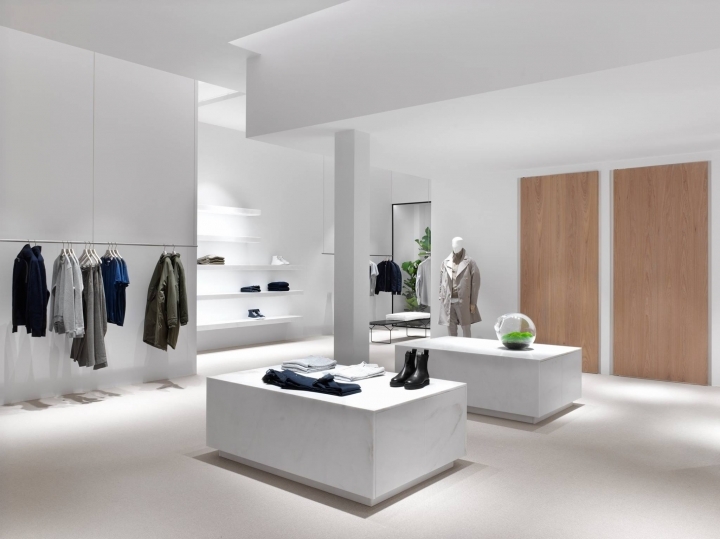 When the Autoban team began work on this project, the first thing they did was to cover the low ceiling entirely in mirror to expand the perceived space in the store. 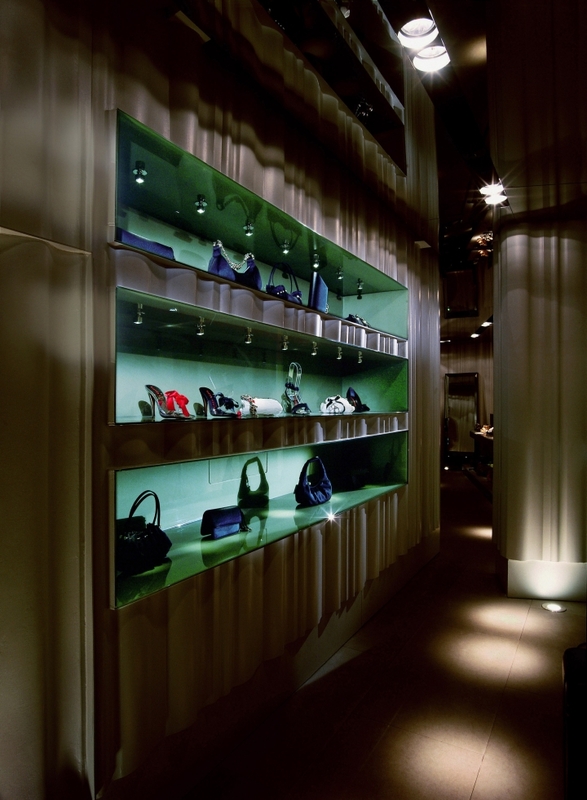 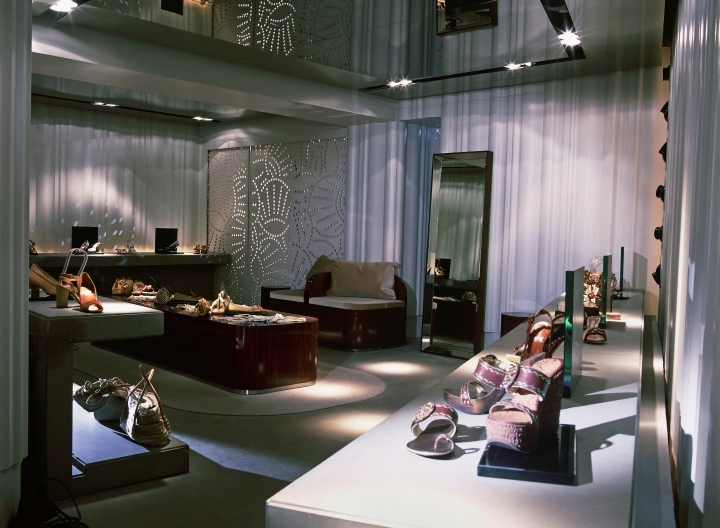 Purpose-designed shelving travels throughout the store with a built-in lighting system to showcase accessories in a manner reminiscent of an art gallery. 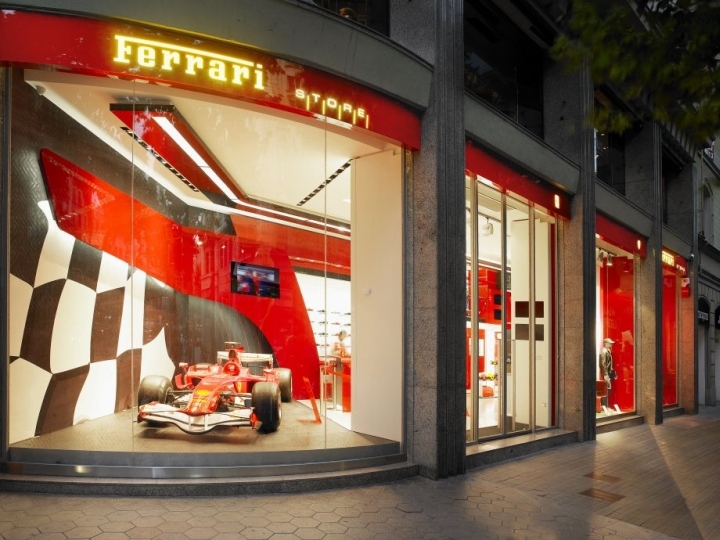 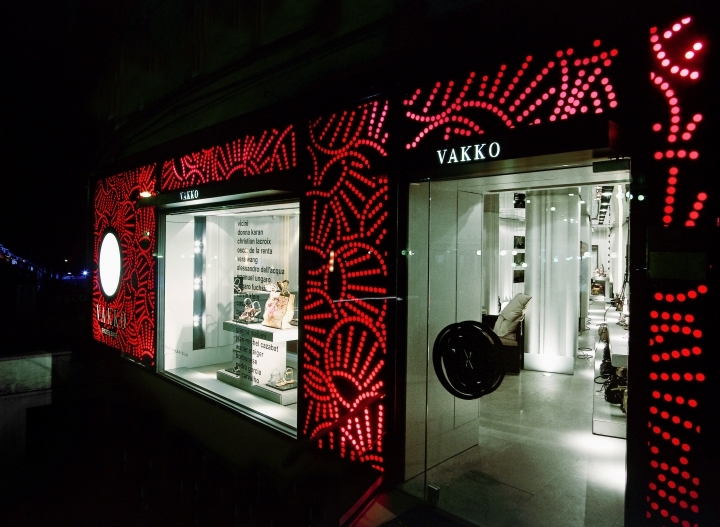 The exterior of the store is visually striking with graphic elements applied on a coloured glass surface.